Emily Fisher poses for a picture after bisexuality seminar. Sept. 23, 2017 marked the eighteenth anniversary of a global celebration known as Bisexuality Day. 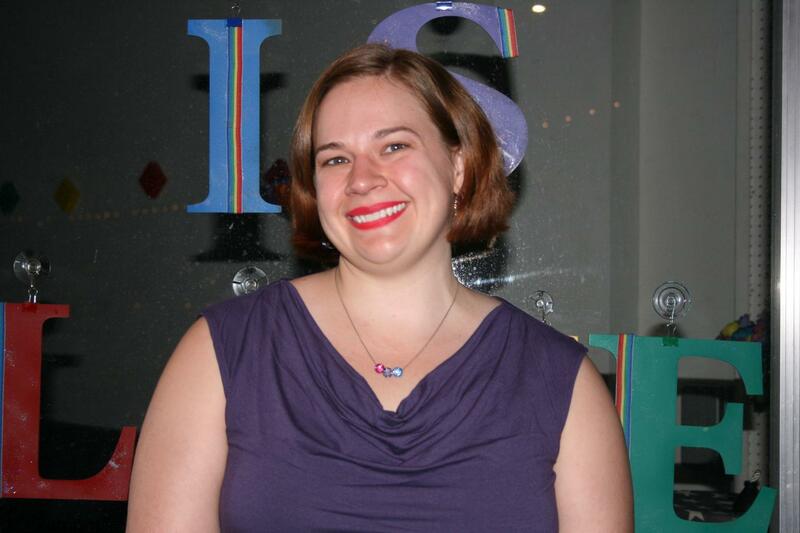 It coincides with Robyn Ochs birthday, who Emily Fisher, President of The Gay and Lesbian Center of Bakersfield, said is a major bisexual and bivisibility advocate . It is on this day that those who are bisexual can celebrate who they are, feel acknowledged, and stop erasure through education and celebration. To celebrate this day, and to educate the community, The Gay and Lesbian Center of Bakersfield sponsored a workshop which covered topics that ranged from bisexuality, the differences between labels that are encountered in the LGBTQ community, the concept of erasure of the majority of the bisexual community, how to be a good ally, and how isolation affects those who are alone or who have not found a community they can belong to or identify with. Not being recognized as being bisexual can lead to feelings of depression that can lead to mental health issues. Erasing this feeling and helping bisexual people begins with education at workshops like this, according to Fisher. “It is very important to recognize bisexuality because it represents, as the best we can tell, about half of the LGBTQ community, but is often the least represented, the least recognized … there’s negative connotations for people who are bi, which prevents them from coming out,” Fisher said. Workshops like this serve as a means of informing and educating straight and gay people who want to understand the bisexual community and are interested in becoming an ally. Allies help to educate others so that it increases acceptance and decreases stigmas and judgments towards those who have a sexual orientation that differs from their own. Fisher said, “There’s a lot of conversation around what is bisexuality and pansexuality, and there’s other labels like fluid, omnisexual, queer … there’s a lot of terms out there, and even within our own community we’ll argue about the difference between bisexuality and pansexuality …” It’s the reason that the center schedules workshops like these in order to help educate. Granados said that his friends who are gay don’t understand what it means to be bisexual so attending a workshop like this helps him understand the sexuality. Recently the center was awarded over a million dollars in grant money from the state of California. With this grant, the center hired staff and added a secondary location, The Annex on Mohawk Street, will begin sponsoring workshops, like Bi+ workshops, Trans workshops, and counseling services beginning in November. Anyone who would like more information about the Center or The Annex, or would like to learn more about becoming a volunteer, counseling, and attending workshops can contact (661)843-7995 or stop by 90218th St, Bakersfield, CA 93301during business hours. Hours and information can also be found atthe center’s website www.glcenterbak.org. Can you please link me to the current news about the Bakersfield, California, USA gay wedding cake case? FYI, the reason the date of September 23rd was chosen back in 1999 was because bi icon Freddie Mercury was born in September. It had nothing to do with Robyn Ochs’s birthday.